In my opinion this is one of the best museums around the world. 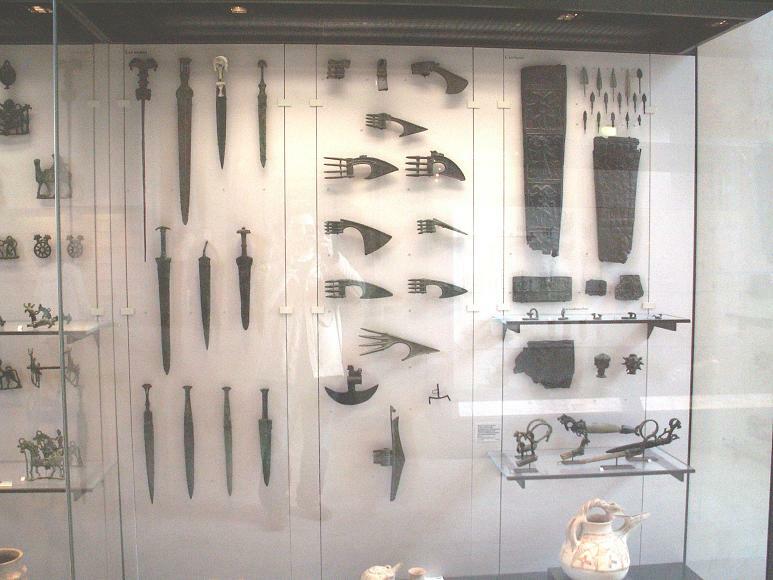 Really excellent artifacts. 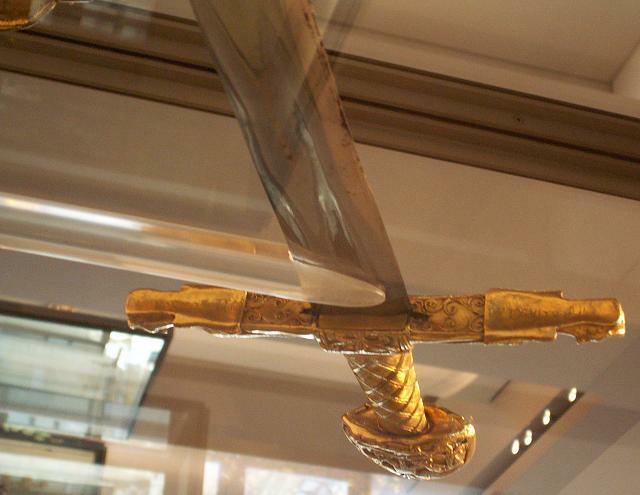 Look at the sword attributed to Charlemagne. The condition of the blade is perfect. The pics unfortunately darken. It has its bright mirror polish still with very few small dots of inactive rust. Perfect condition for such an old sword. UNbelievable. 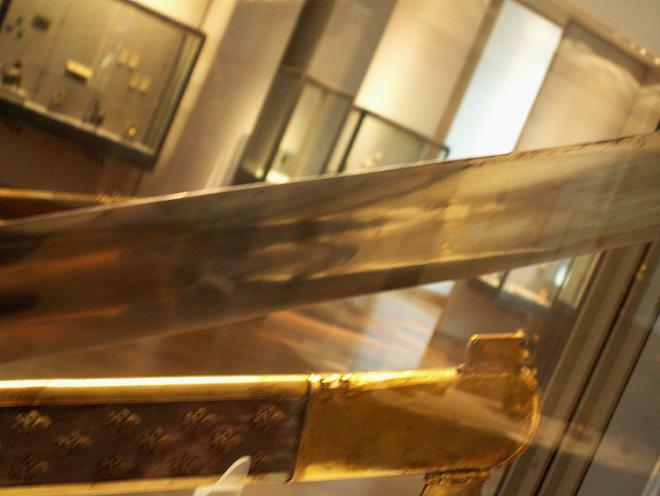 THis sword is truly aweinspiring. More pictures of the sword posted above. No question about that! 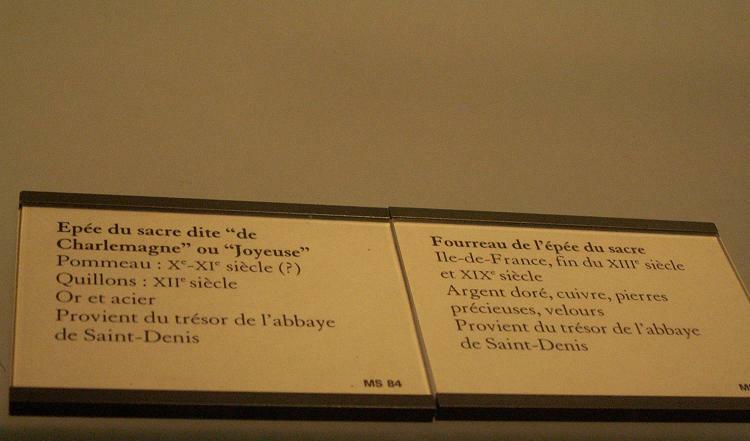 I love the Louvre, but I have only been there (physically, anyway) once. Thanks for posting these. 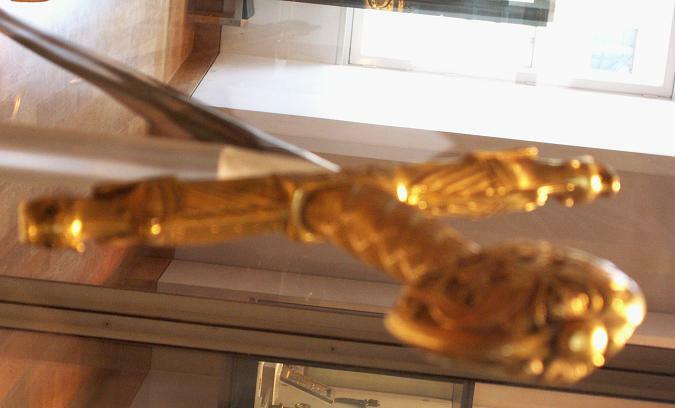 I was especially happy to see the shot that shows the thickness of the coronation sword's scabbard. 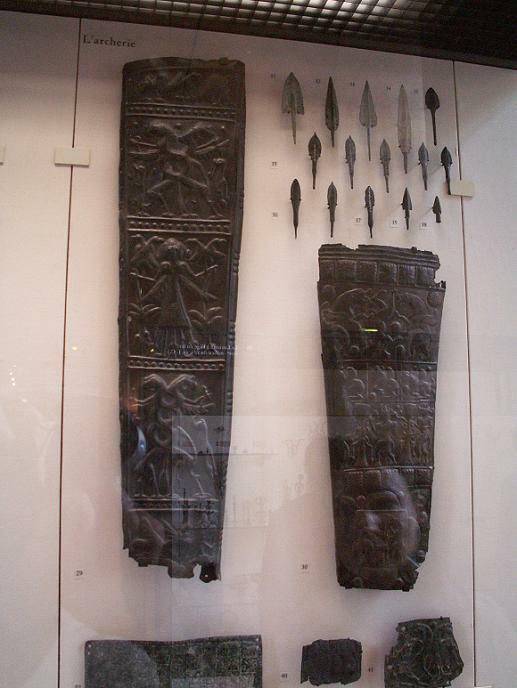 If I read it right, does the placard say the scabbard is from the end of 13th century and 19th century? I wonder which elements date from when. If the scabbard core dates from the 13th century, then that gives us one of the best pictures of how thick scabbard cores could have been. 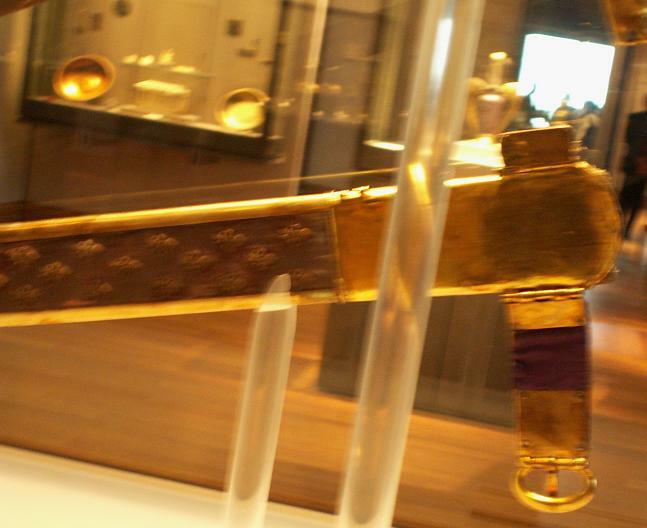 Of course, since this is a ceremonial sword, the scabbard may have made differently than for a combat sword. Nice pictures. 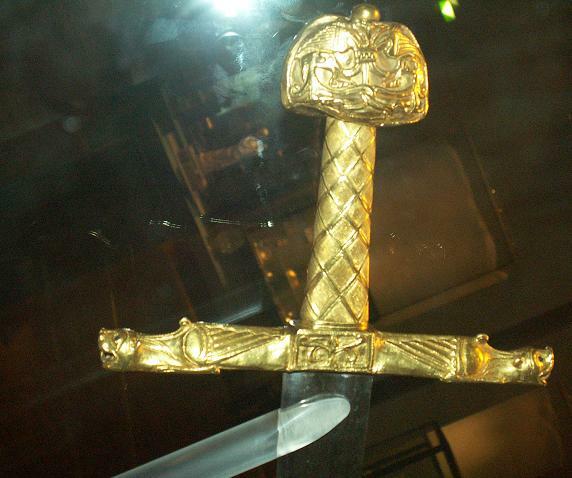 I sent a link to a friend and he said.... " Hey its King Charles's sword" Interesting how famous that sword is. Nice pictures. 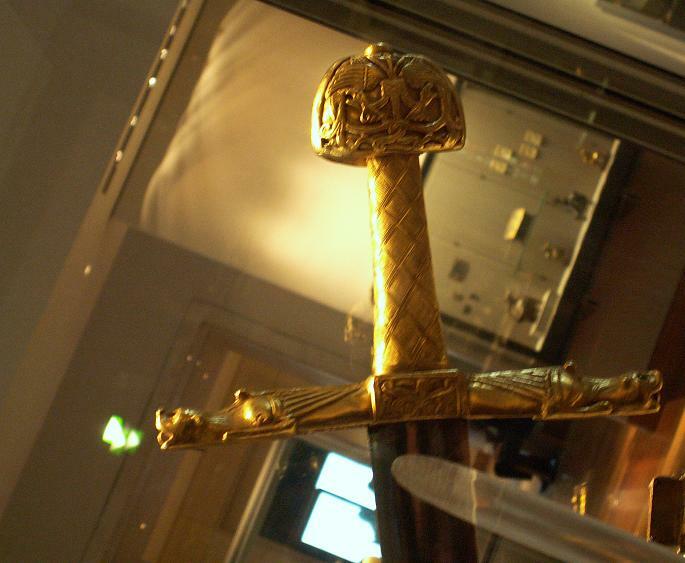 Charlemagne is an ancestor of mine (no genuflecting required ), so it's great to see more pics of this sword. It's one of the more recognizable ones out there. Can I levy taxes in the old Holy Roman Empire lands? 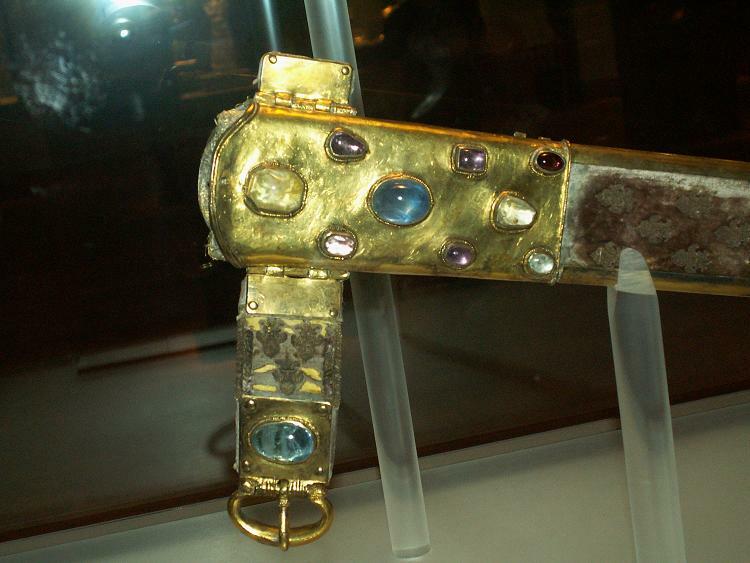 First time I had seen the scabbard for Charlemagne's sword. Love the hilt "edge on" shots. That's always missing in traditional photos of this piece. Thank you for the pictures Manouchehr! Hm. In the 8th picture, it looks as if the terminals on the quillons have been added separately, as they seem to break the pattern on the top of the guard. Does anyone have any insight on that? You are welcome. I do not know that but the wood is really really old. My guess would be that some of the embellishments were renewed later but that is only a guess. 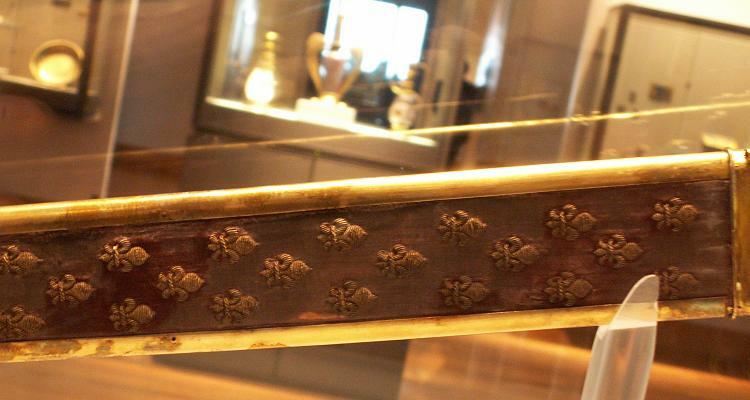 The Reichsschwert has also its own scabbard. 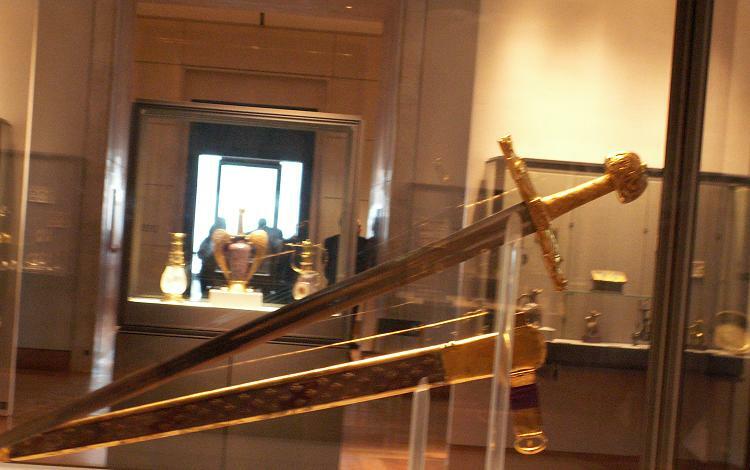 Yes indeed the sword is very famous. You are welcome. 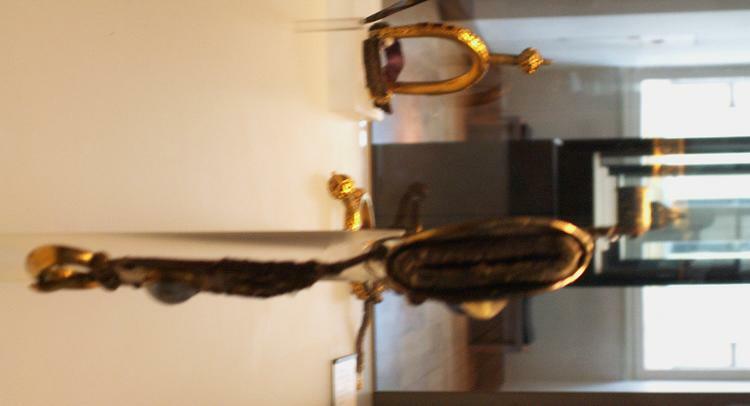 That is part of the dragonhead which is also inscribed. It is executed well actually, it breaks the pattern as you mentioned. 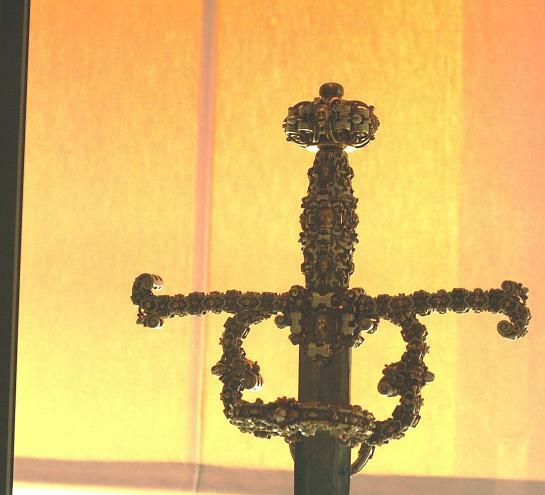 Sword and dagger of trhe grand maitre of the order of the Malte. German work, second half of the 16 century. 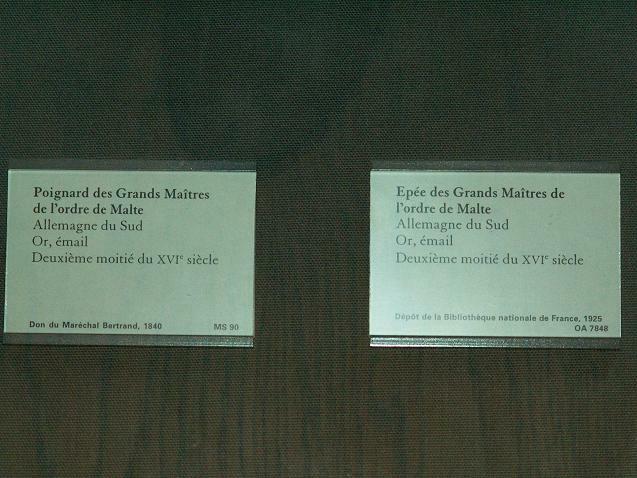 These marvellous pieces are kept in the Louvre Museum. 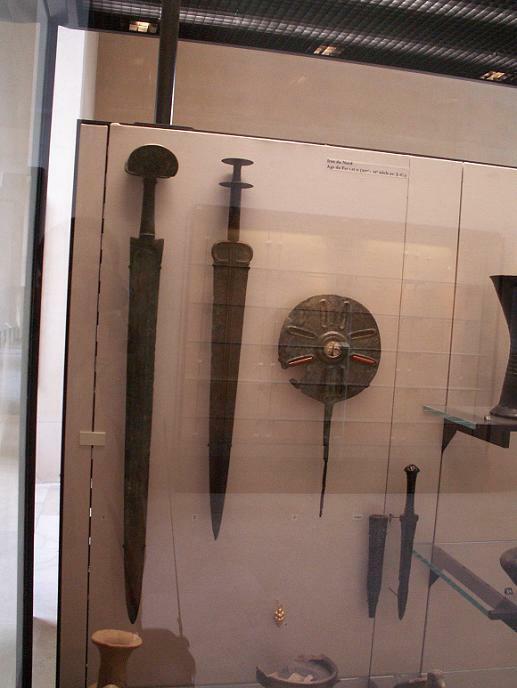 Louvre has a very nice collection of bronze weapons from Luristan and northern parts of Iran. Are the examples of the gorytos dated to the same period as the bronze artifacts? I didn't surrender, but they took my horse and made him surrender. Good to see you here. Yes they are. 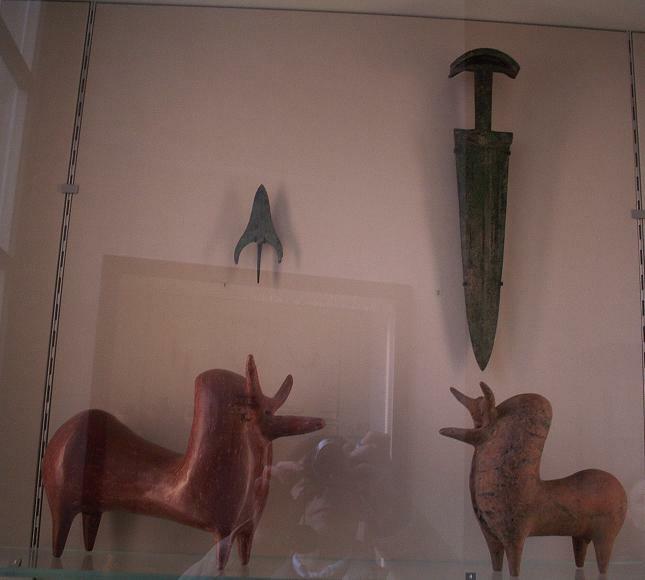 As you know I depict and describe two of them in my book that are kept in the NAtional Museum of Iran in Tehran. They are from Luristan. I was noticing that as well. 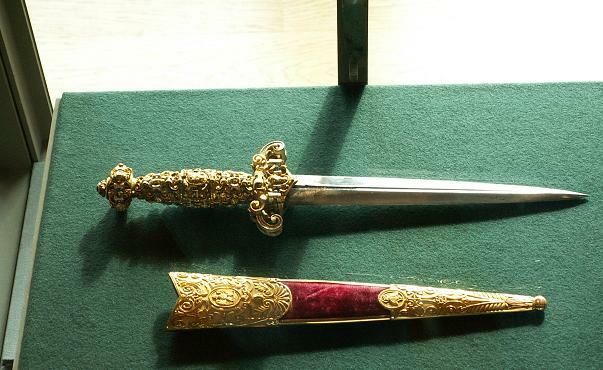 As you say that one might habe been a bit "over the top" since it was a coronation sword, however it certainly flies in the face of the trend over the last several years of demanding scabbards that are increasingly light, tapered and have a complex cross section. 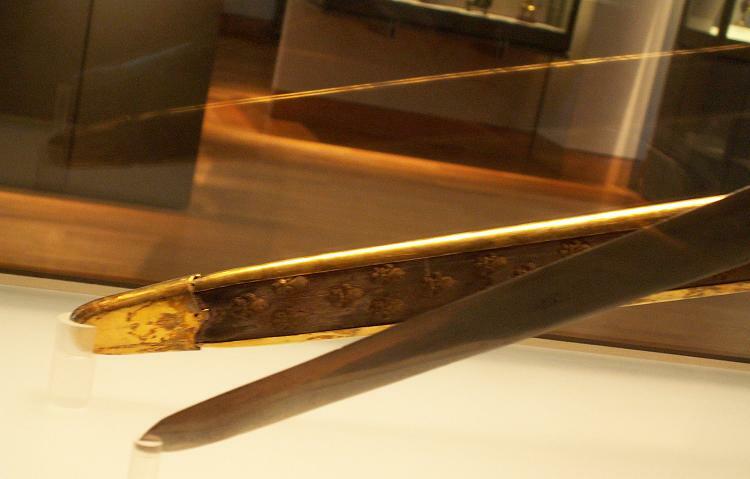 I would give a lot ot know if the scabbard was contemporary with the blade. Manouchehr , you outdid yourself with thise pictures. 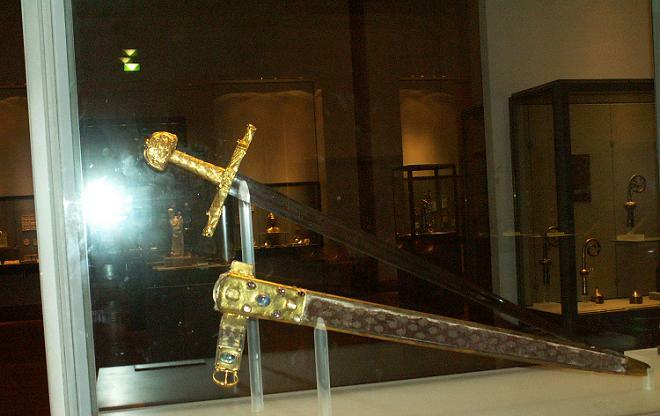 They are the best I've seen of that sword from more angles then I've been able to find in any book. I will find out this information for you as I will travel to Louvre for a research project soon. Thanks for your kind email. 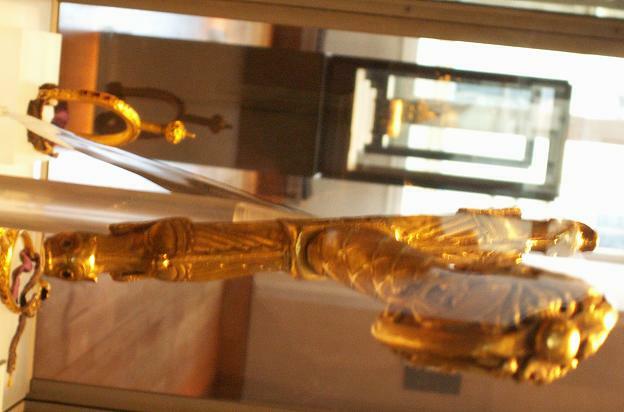 In my book I followed the same principle, each sword needs to be phtographed from as many angels as possible (there I could take the piecs out of their glass vitrine and inspect them closely and take pics). 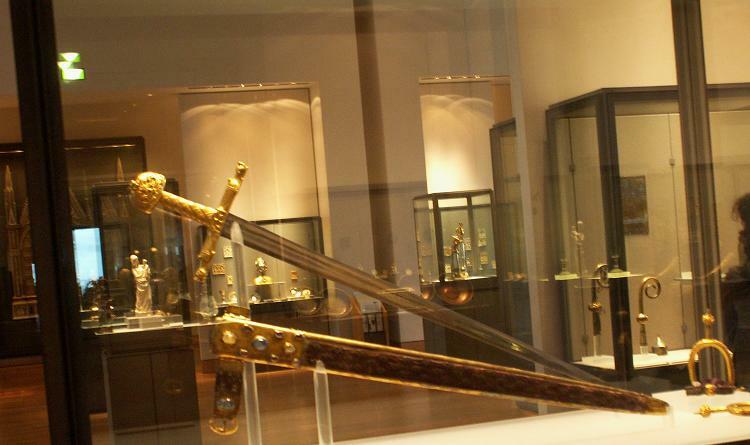 Very often swords are only phtographed from one or two angles leaving out lots of information. Excellent thanks so much! These have been some VERY fascinating photos! You are very generous to take the time to share all of them.